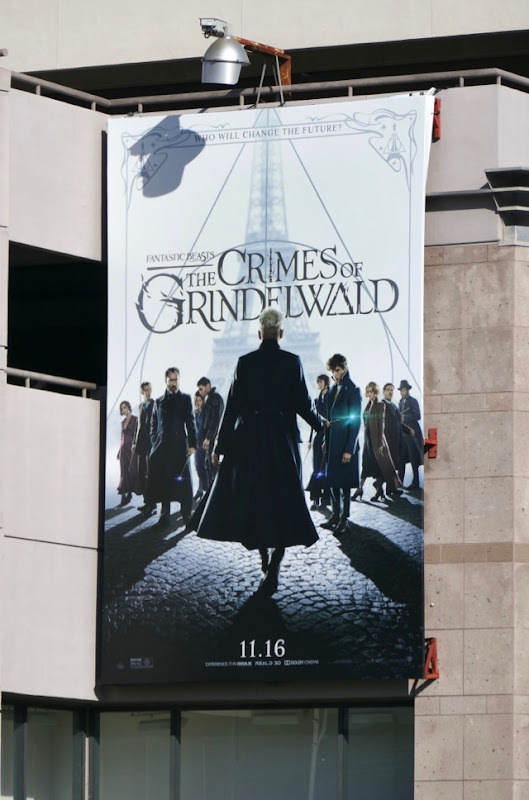 These days it feels like the magic is missing from the world we live in, so hopefully the Fantastic Beasts movie sequel, The Crimes of Grindelwald, can sprinkle some much needed pixie dust over all us Muggles this holiday season. 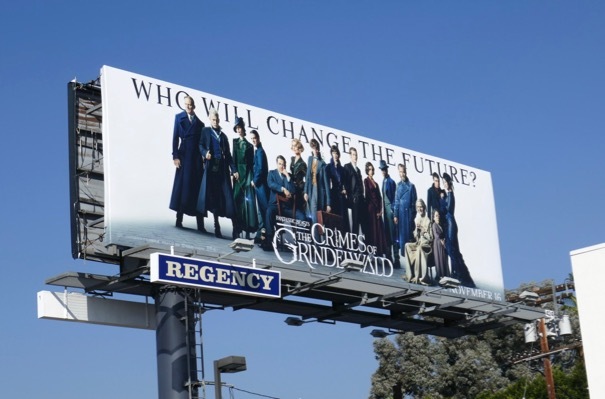 In this second installment in J .K. 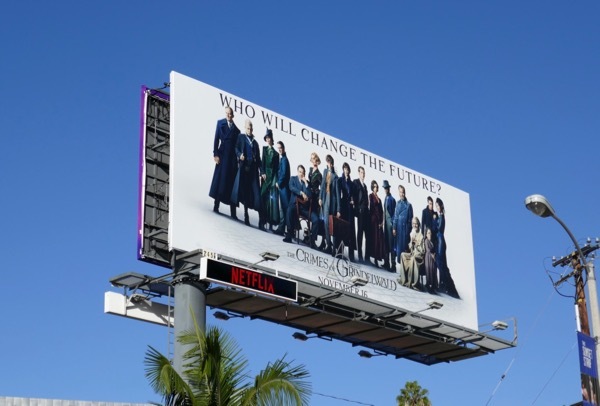 Rowling's wizarding world prequel to Harry Potter, Eddie Redmayne reprises his role as the magical creature-loving 'Newt Scamander' as a younger 'Professor Albus Dumbledore' (played by Jude Law) enlists the help of his former student to stop Johnny Depp's sinister 'Gellert Grindelwald' and his plans for pure-blood wizards and witches to rule over all non-magical beings. 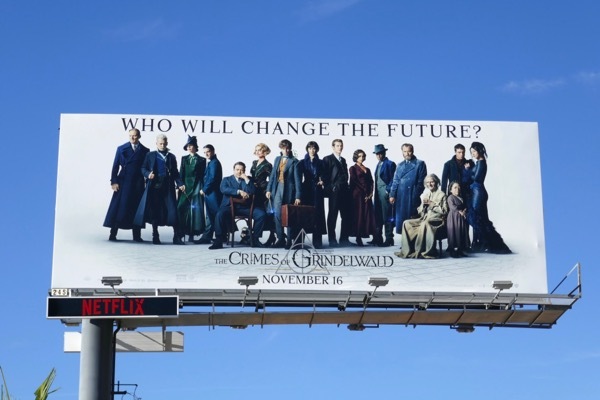 Once again set in the 1920s, the action this time moves from New York to London and Paris as Newt reunites with his American friends 'Jacob Kowalski' (Dan Fogler), 'Queenie Goldstein' (Alison Sudol) and her sister 'Tina' (Katherine Waterston) and encounters old and new allies, foes, loves and beasts on his mission. 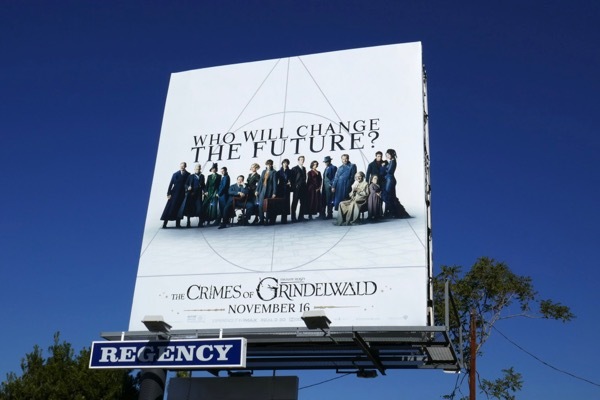 The film also stars Ezra Miller as the returning 'Credence Barebone', Zoe Kravitz as 'Leta Lestrange', Callum Turner as Newt's older brother 'Theseus' and Claudia Kim as the Maledictus 'Nagini', the future snake companion and final Horcrux of 'Lord Voldemort'. 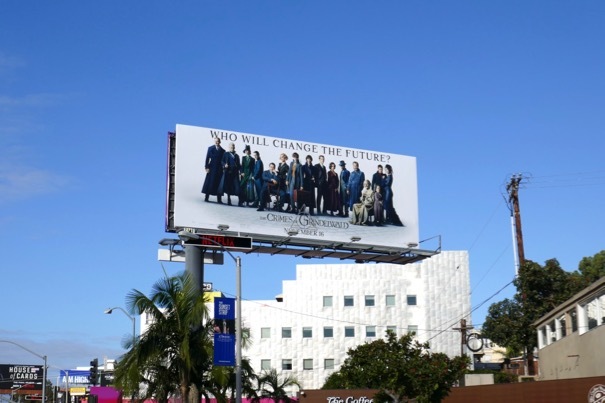 These foreboding movie billboards were photographed along the Sunset Strip, Melrose Avenue, Fairfax Avenue, Wilshire Boulevard and La Cienega Boulevard from October 11 to November 12, 2018. 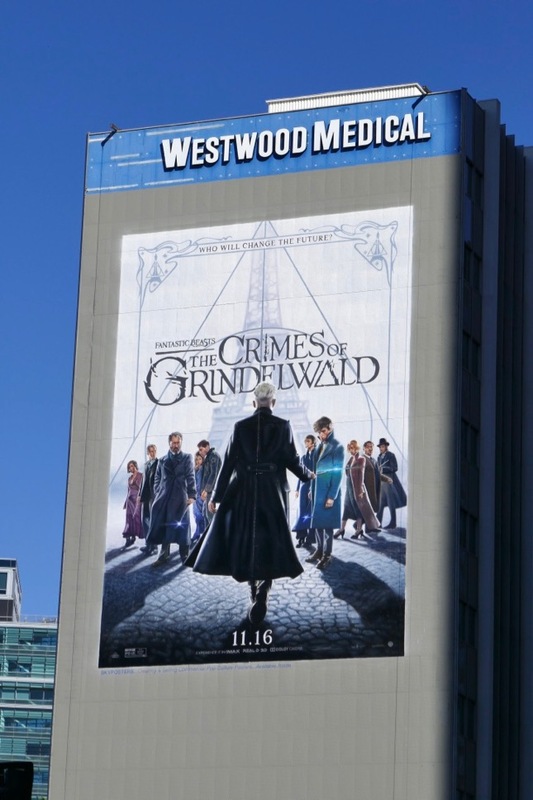 Fans of this wizarding world can also check out these billboards for Fantastic Beasts and Where to Find Them and these Harry Potter movie and theme park billboards. 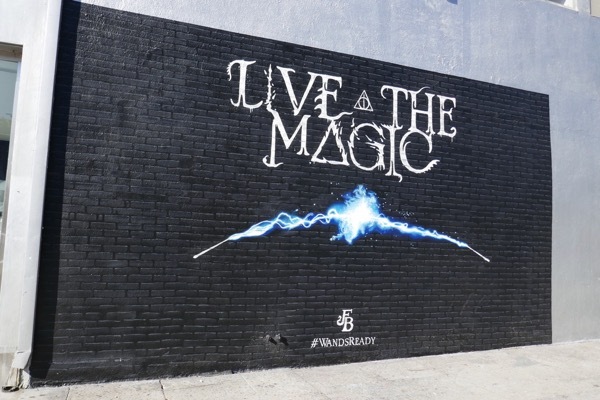 Get your wands ready and let's see if this magical sequel can cast a spell over audiences this November.